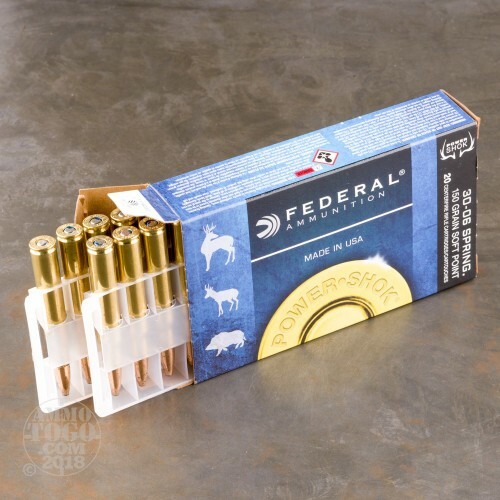 Federal Power-Shok cartridges are a mainstay of many hunters due to their reasonable price and deadly performance against various types of game. 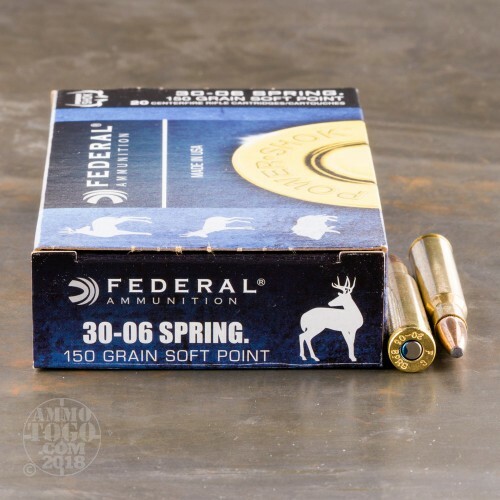 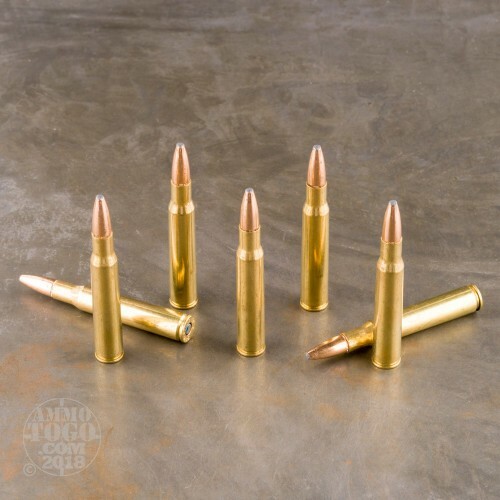 This .30-06 Springfield ammunition is a good choice for deer and other medium to large size game. Each cartridge in this case of 200 fires a 150 grain soft point bullet designed to expand in the target for maximum lethality without fragmenting and causing meat loss. 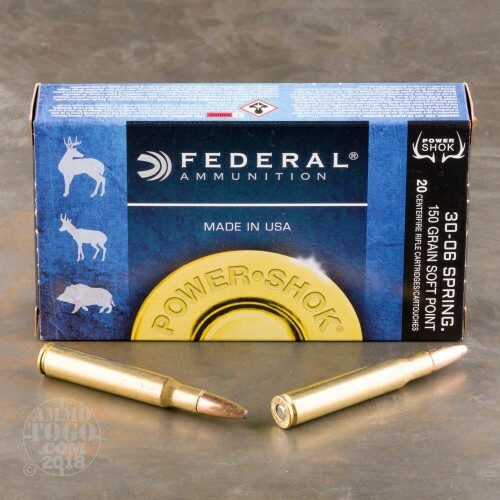 Power-Shok ammo is made in Anoka, Minnesota and uses non-corrosive primers and brass cases.